Armchair Cleaning in Essex - Limited offer - free armchair clean! Careclean have been armchair cleaning in Essex for over 34 years, so if you are looking for an armchair clean, we are the company to turn to! Better yet, throughout September, we have an offer running where you can get one armchair cleaned completely free of charge! But don’t worry if you are reading this and it’s no longer September – we have an offer for you further down the page. Have you spilt something on your sofa recently? Or maybe it’s looking a little grubby? But if you get your sofa cleaned, your 2 armchairs are going to need cleaning too, right? 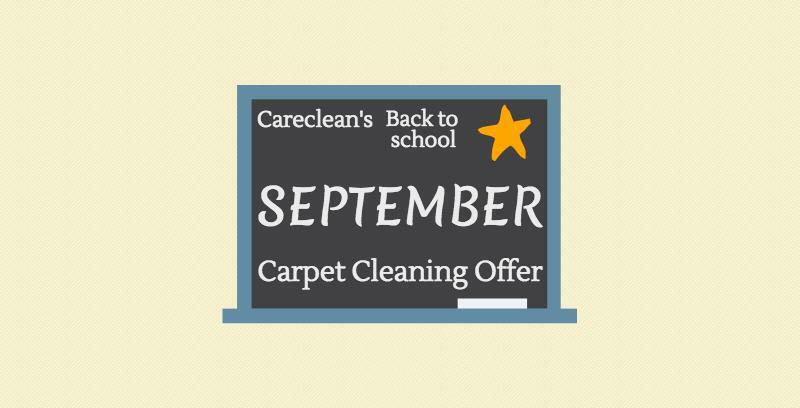 Well if you are thinking you don’t want to fork out to clean 3 pieces of furniture, then why not take advantage of Careclean’s September monthly offer? Just book in to have your 3-piece suite cleaned, and during September, we’ll deduct the price of one of your armchairs! Pre-spot difficult stains – Before bringing in our specialist cleaning machine, we always take time to pre-spot any difficult, ground in stains. This initial, targeted treatment means that by the end of the full cleaning process, those stains will most likely have vanished. Pre-spray – We apply a pre-spray to the entire piece of upholstery we are cleaning. This second treatment is specifically designed to lift any oily dirt and pollutants from the fibres (which can be harder to lift than their drier forms). This makes them a lot easier to remove in stage 3. Hot water extraction machine – This machine heats water to a very high temperature. It then injects a water and cleaning solution blend directly into the fibres. This helps to break up any remaining dirt, bacteria and pollens in the fabric. Residue rinse – Finally the machine produces a huge vacuum; this draws out all the dirt, chemicals and water out of the upholstery. We use the extraction machine as it ensures a residue free rinse; this maintains the quality of your fibres. Furthermore, as it is so efficient at removing the residues, you will find that it helps to prevent future stains and dirt. Grooming – Where appropriate, we will groom your furniture to leave it in the best possible condition. Depending on the fabric, this usually involves us running a grooming brush over the fibres. This ensures they are tangle-free and as ‘fluffy’ as possible. We offer a slightly different process for leather furniture, click here to find out more. 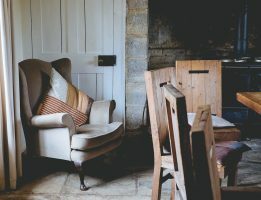 Armchair cleaning in Essex – how do I claim my free armchair clean? Have your 3-piece suite cleaned and get one of your armchairs cleaned for free! To claim your free armchair clean, give Careclean a call during September on 01245 323 989 and quote this offer. We will then arrange for one of our team to come out and give you a free quote. Once you have booked in to have your 3-piece suite cleaned, we will deduct the cost of one of your armchairs! Want to know more about armchair cleaning in Essex? Read more about our upholstery cleaning services here. Just call us on 01245 323989 and quote ‘September extended offer’. If you book in to have you 3 piece suite cleaned, we will deduct 25% of the cost of one of your armchairs. Careclean has been established for over 34 years. As well as armchair cleaning in Essex, we have a vast knowledge of carpet and upholstery cleaning and maintenance. We post a bi-weekly blog, which often includes carpet and upholstery cleaning tips and guidance on keeping your home clean and healthy. Click here to check out our blog. You can also follow us on Twitter and Facebook to keep up to date on all the latest news and offers.